surfaces is a music group based out of Texas consisting of Forrest Frank, Colin Padalecki, Alexa Padalecki, and Michael Incavo. After fully forming in 2017, surfaces released their first full-length album, surf. The group has been praised for its genre-bending, feel-good music that has been compared to the likes of Sugar Ray and Rex Orange County. 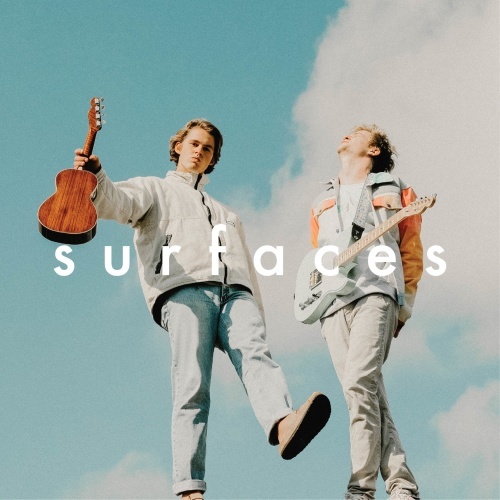 Following the major success of surf, surfaces returned in 2019 with their 2nd album, where the light is, a summer soundtrack similar to it's predecessor, with even more exciting production and refined songwriting. © 2019 The Cove at BearX. All rights reserved.